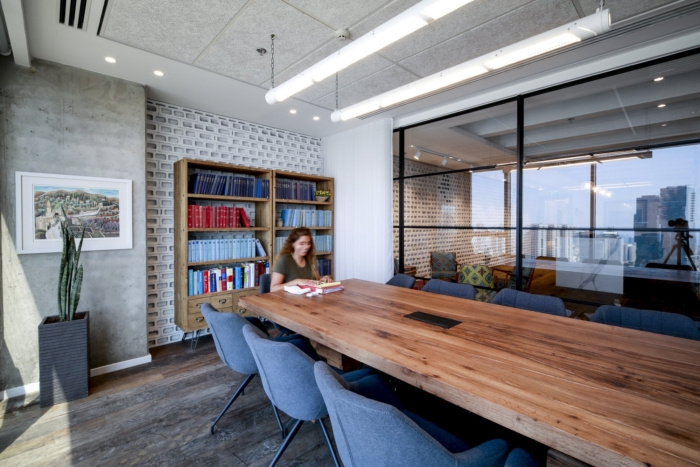 Shirli Zamir Design Studio recently completed the office design for law firm Nevo Molson, located in Tel Aviv, Israel. Nevo-Molson is a law firm specializing in medical malpractice. 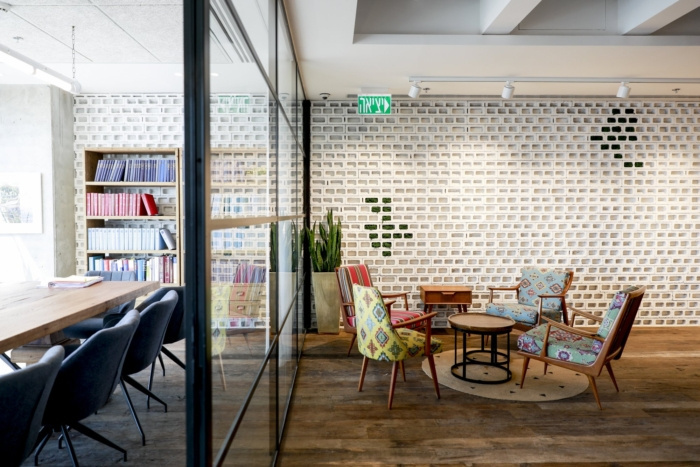 Together with the client we prioritized creating a sophisticated and formal space that projects the serious nature of the issues handled by the firm. However, the design had to be warm and welcoming for the clients to feel comfortable. Taking into account the clients of the firm, people coming for consultancy not always at their best, we wanted to portray seriousness and compassion through the truth of the materials and colors.